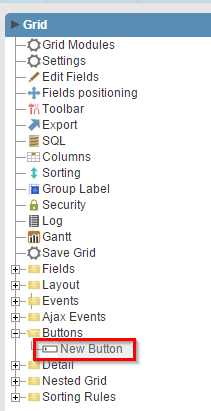 This option in the Grid allows to create a button to process a PHP code in selected records (checkbox). 2. We will name the field “Process” and select the type “Run”. 6. 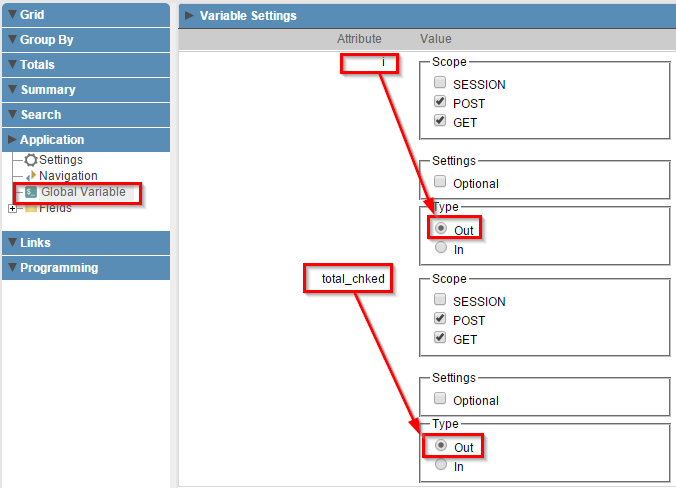 Now we should access “Application>>Global Variables” to set [i] and [total_chked] to be “OUT” variables. 7. 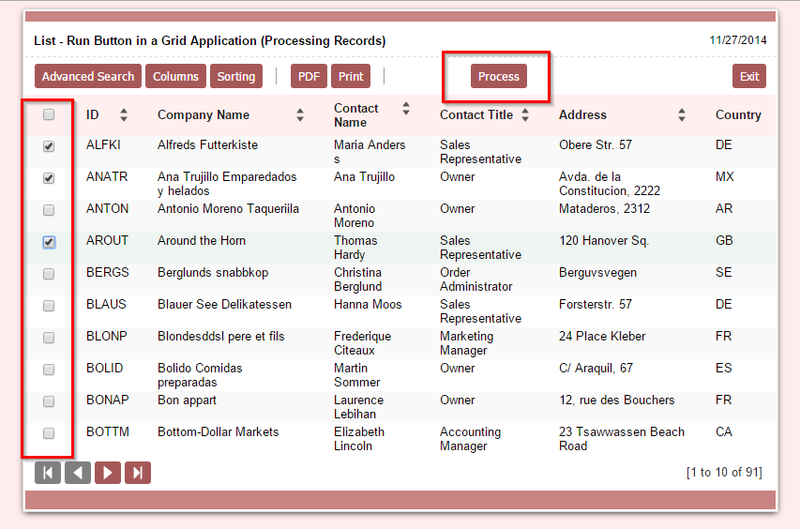 Running the application, select the records and click on the “Process” button.